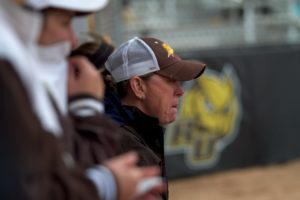 Over the past 20 years, the Rowan University softball team has been one of, if not, the most successful sports program at the school. A huge chunk of credit for that belongs to head coach Kim Wilson. Wilson racked up over 700 wins and has just under an 80 percent winning percentage. 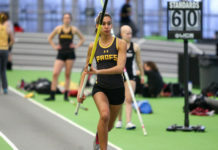 She has led the Profs to six New Jersey Athletic Conference (NJAC) titles and 15 NCAA Tournament appearances. Wilson first played softball when she was in fifth grade. However, it surprisingly wasn’t her favorite sport growing up. When Wilson finished college, she became a teacher at an elementary school in Virginia, where she coached basketball. Before she came to Rowan, Wilson was the softball and soccer coach at Washington & Jefferson College (PA). She ultimately left and came to Rowan because she didn’t want to have to coach both soccer and softball. Wilson is humble when it comes to the amount of success she has had at Rowan. She credits the school itself for making her job easier. 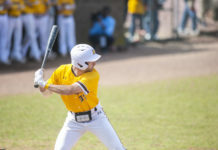 Rowan’s game at Stockton has been moved to Friday at 3 p.m. Wilson and the Profs come into the game with a 15-4-1 record. Stockton is 10-7.